BMW New Zealand today announced a world first with the BMW ZZZ series cot, a high performance sleeping machine designed by automotive engineers for babies. Skilfully blending comfort and style, this innovative premium baby cot embodies the spirit of The Ultimate Driving Machine. A fusion of German engineering and advanced technology means your baby will sleep better, for longer, in safety and comfort. 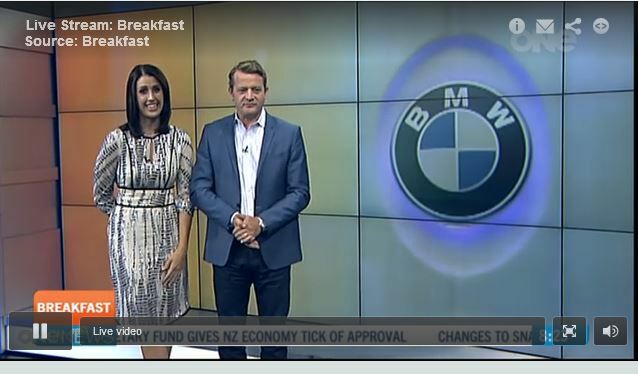 Photo: The BMW ZZZ series being announced on Breakfast this morning. 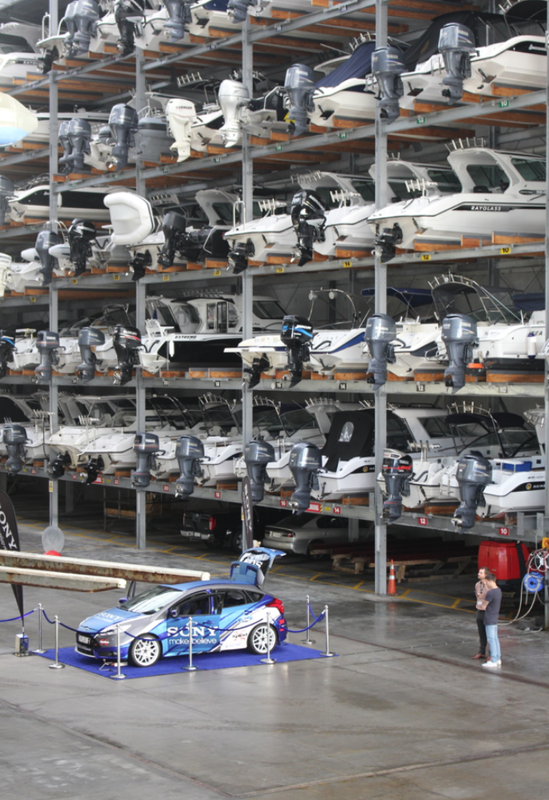 Here are the specs for the New Zealand market. The device costs $899 for the base model with further modifications available. 1000mm long, 750mm wide and 1000mm in height, the ZZZ Series’ compact dimensions deliver a strikingly spacious feel on the inside, giving your baby a premium nursery experience. The BMW ZZZ Series is ideal for parents with new families. As is the all-new BMW 2 Series Active Tourer. With its elevated seating position, variable rear-seat bench, expandable truck space, and generous legroom, it’s The Ultimate Driving Machine for all new families. You can take your little one for a test drive when it arrives in October and experience the comfort and safety of the all-new BMW 2 Series Active Tourer. Over the past couple of weeks I’ve been virtually drowning in Sony goodness. The Japanese electronics giant not only released the smooth and shiny Tablet Z for review, they also threw in the new NEX-6 compact system camera to record it on. Then the mobile division managed to provide some “hot off the press” units of the new Xperia Z1 smartphone which had just been announced at IFA 2013. As if all that weren’t enough, Sony NZ then held an open house and showcased their upcoming products, from 4K TV’s, through portable boom boxes, action video cameras and head mounted 3D viewing screens all the way through to the unique and innovative QX100 lens cameras. Phew! All of this goes to show one thing, Sony is not sitting back in the face of stiff competition from the likes of Samsung and Apple. 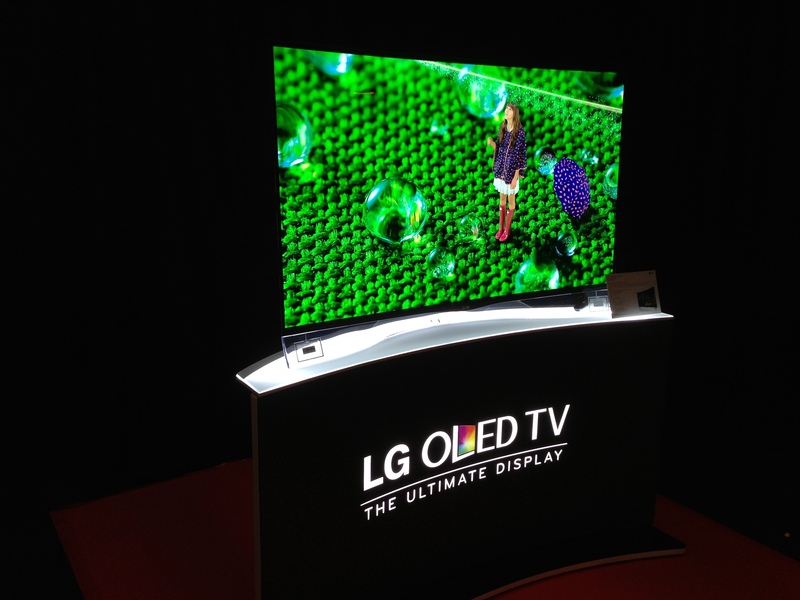 They have upped their game with some very desirable technology and applied some much needed consistency to their product family. 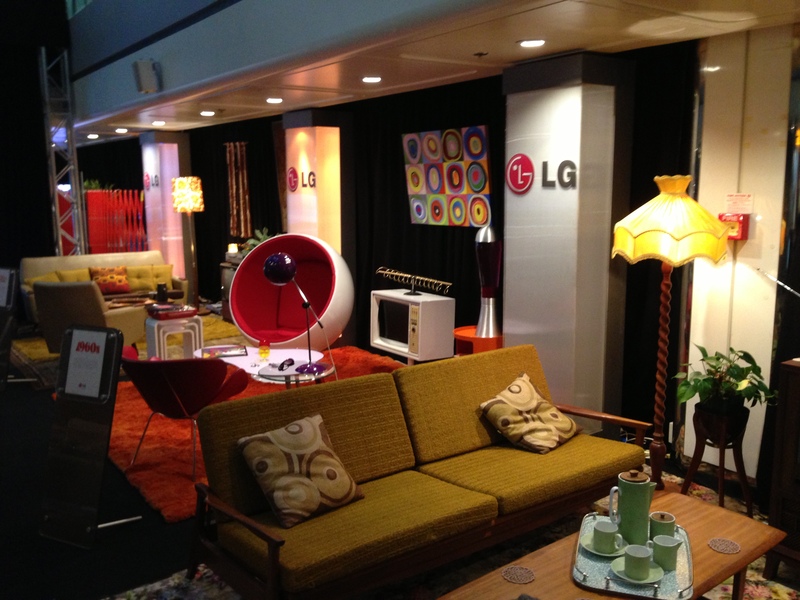 We don’t have time to cover off all of the above so in this post I’ve included two video reviews (for the tablet and new smartphone) and a few images from the open home event. Hopefully this gives you a taste of what you’ll find in your local Sony store (or in leading electronics shops nationwide) and I encourage you to go in and have some hands on time with any of the products that take your fancy. Photo: A first hands on with the innovative QX100 lens camera. 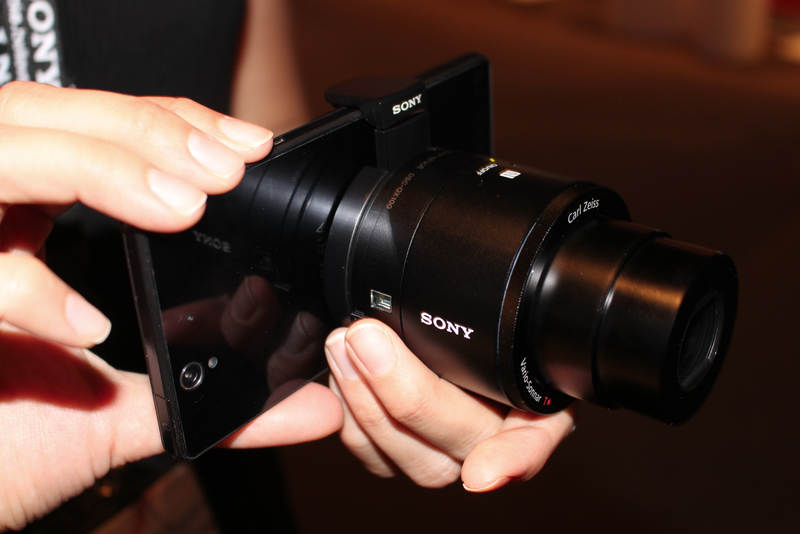 Yes that’s an Xperia Z1 Android phone, and that zoom lens on the front? Well yes that is the lens camera which transmits the photo to the phone by wifi direct. (more photos after the jump). 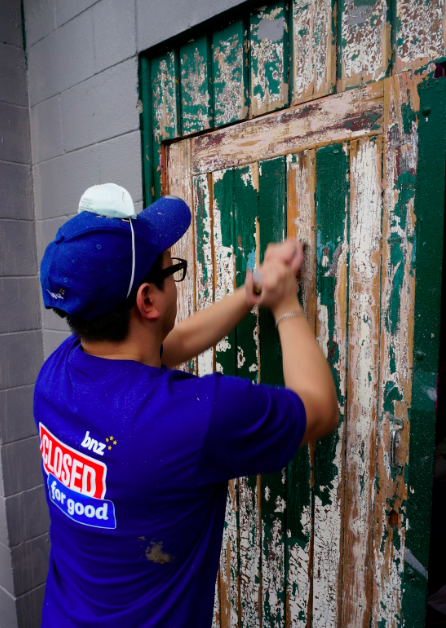 Closed for Good is BNZ’s national day of volunteering and is the single largest day of corporate volunteering in New Zealand. 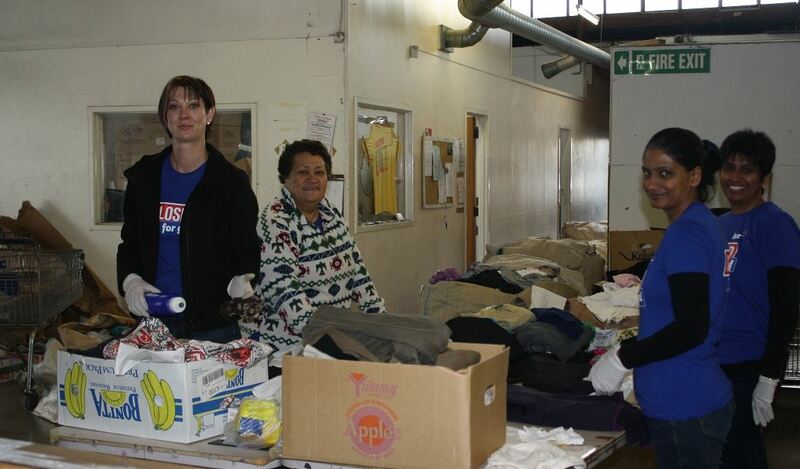 They close their stores and offices and roll up their sleeves to help communities be good with money. 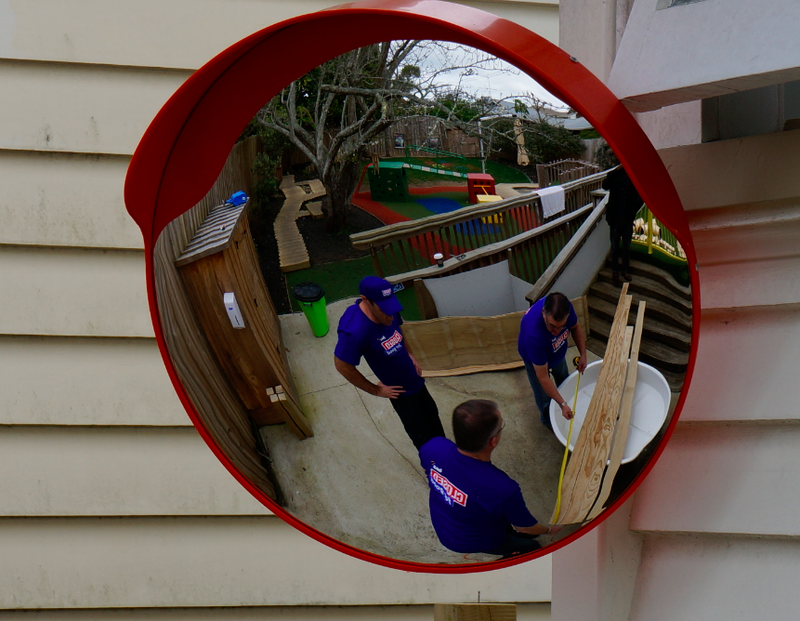 This year they are in 452 locations and will be donating 25,000 volunteer hours to the bottom lines of charities and communities all over New Zealand. The social media team at BNZ have challenged me to go on a magical mystery tour around Auckland today to find out just what projects the staff are working on. I’m starting off at 9 am at Project Jonah in Mt Eden where they’ll be working on a plan to develop financial sustainability. 1pm-ish Okay – I made it back to town, though I’m running low on batteries. 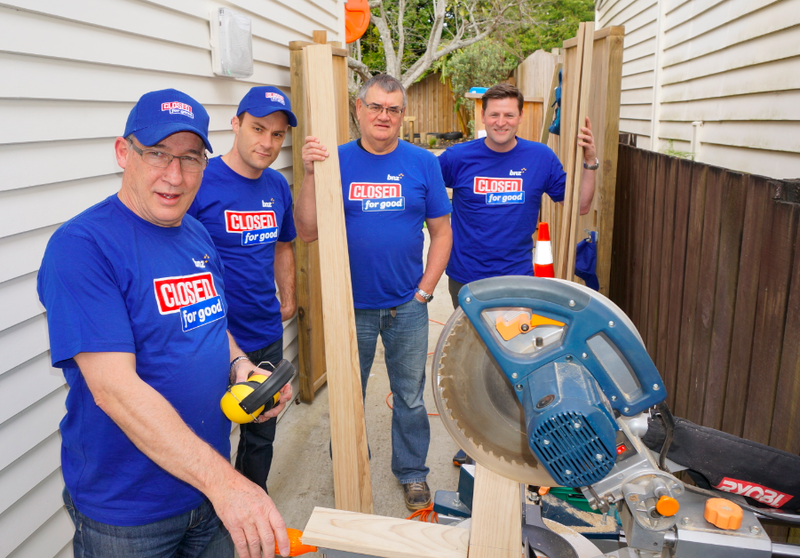 I got to the Auckland City Mission – but the team were having a quick lunch break off-site. Shame I couldn’t stick around. Luckily I have helpers everywhere and these are some of the photos the team had already taken and were able to share with me. 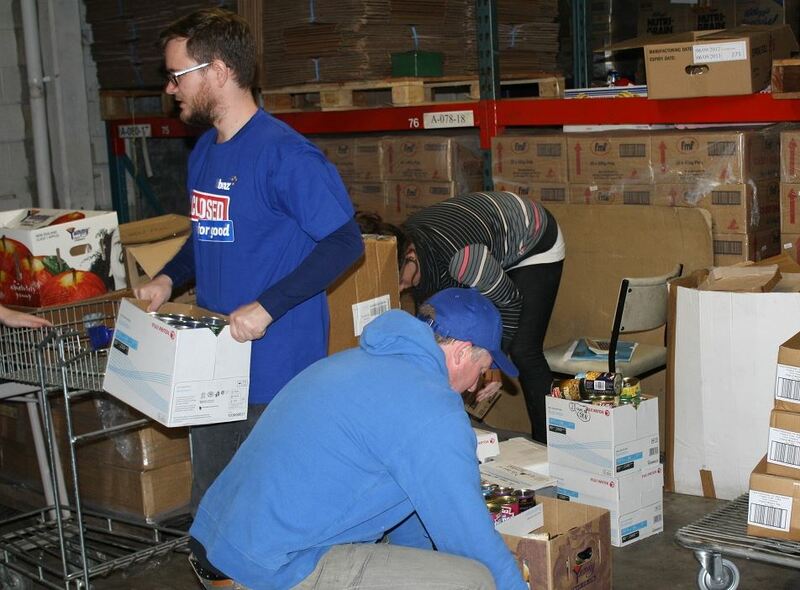 It looks like they are having fun sorting the donated goods that are provided to the Mission into packs for the end recipients. 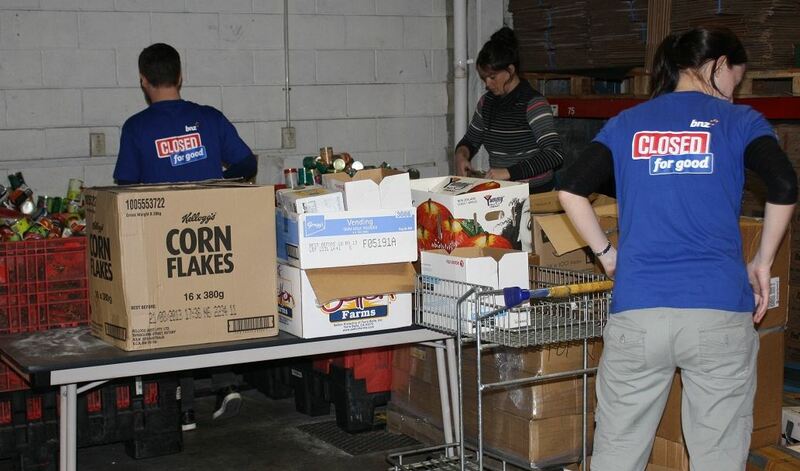 Good work Auckland City Mission. 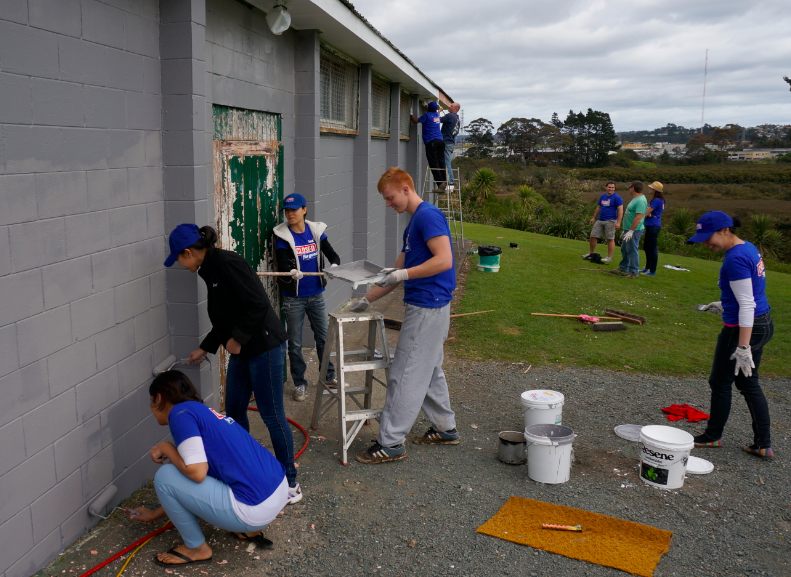 Good work BNZ team. 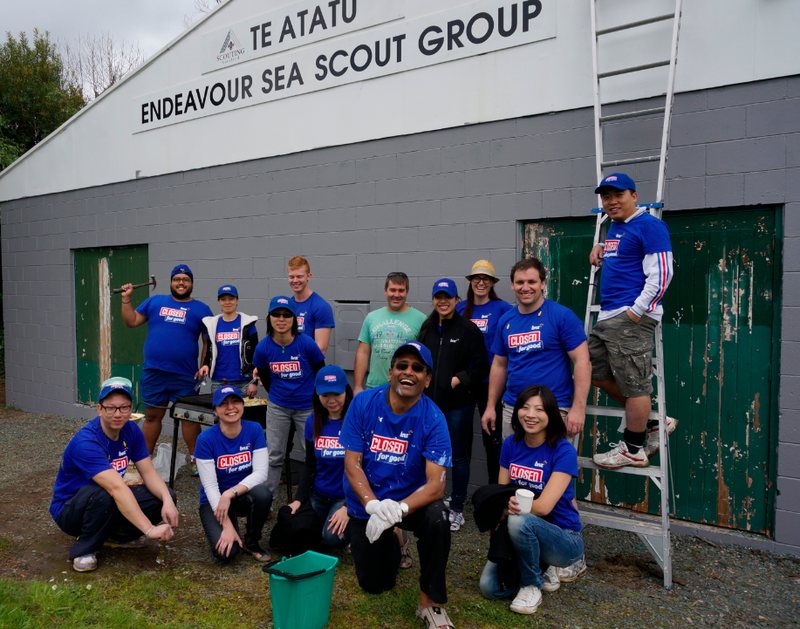 12:00 And here we are at the Endeavour Sea Scouts in Te Atatu. A large team has been at work since 9 this morning and they’ve been blessed with sunshine and low winds (unlike the teams in Wellington and the South Island who I hear are battling snow and gales). 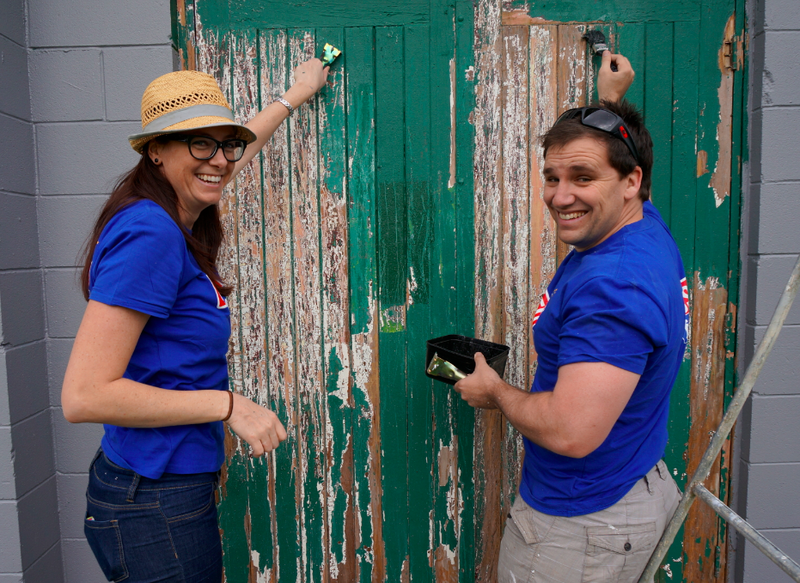 This shed has been completely prepped and painted. The second coat is well under way. 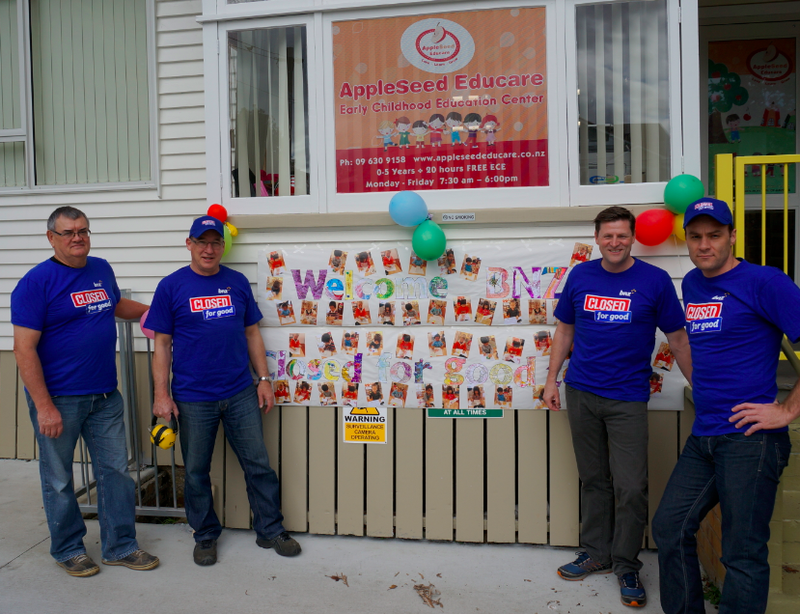 10:30 The kids and staff at Appleseed Educare are lovely. I hope they like the new bench the guys are making for them. It was in the early stages when I got there, but I’m sure if Craig (Herbison, Chief Marketing Officer) has anything to do with it it’s going to be top notch. 9:33 Dominion Road, Auckland. 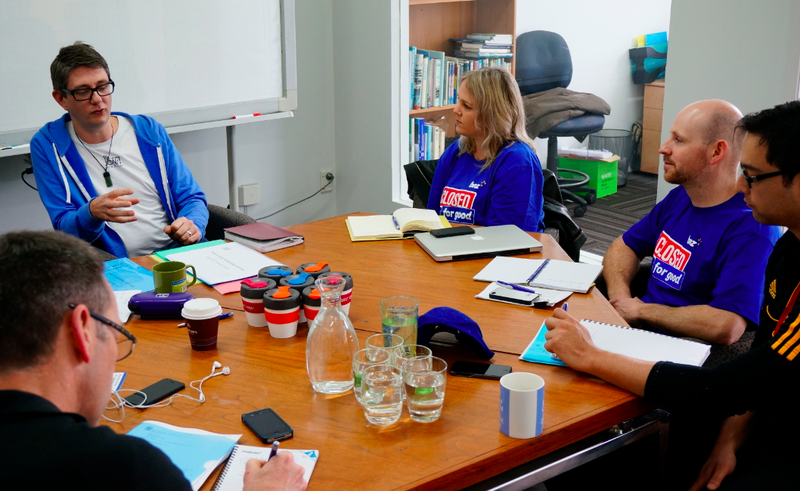 Team brain-storm and planning with Project Jonah (http://www.projectjonah.org.nz/). Very interesting. Great to be a fly on the wall. 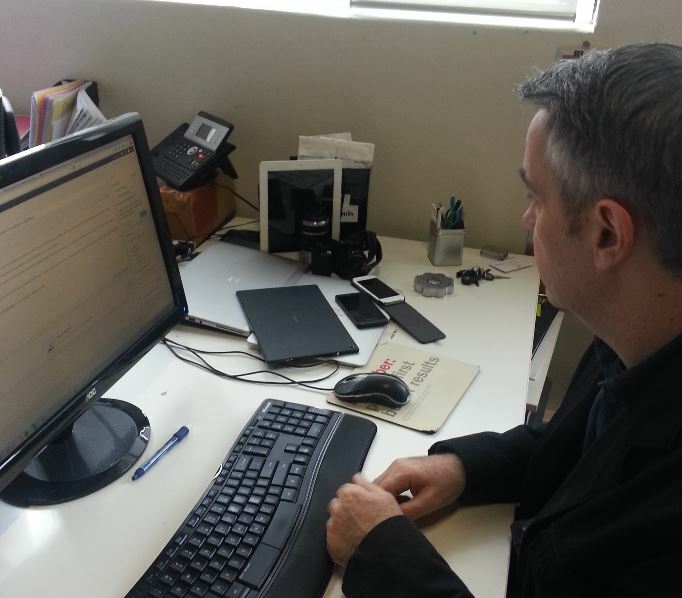 8: 10 – Getting my tech sorted for the day – HP Ultrabook, Apple iPad, iPhone, MacBook Air, Sony Xperia Z tablet and NEX 6 compact system camera, Blackberry Z10 smartphone. I brought a new family home this Christmas. As a very Apple friendly household you could have expected some consternation when I showed up with a bunch of Samsung’s latest hot products. Don’t worry though folks, in the true spirit of the season, there was peace on earth and good will to all platforms. Yes, so, while Breakfast is on it’s Summer recess, I’ve been testing out the latest Samsung family of products. The new toys are the Series 5 Ultrabook, the Galaxy Note 2 and the shiny new Galaxy Camera. While I’ve grown to know and love them individually, some of them are going to be harder to return than others when the loan period expires next week. Check out my comments below to see what I thought. Happy Family: The Samsung Series 5 Ultrabook, Galaxy Note 2, Galaxy Camera and (reviewers own) Galaxy S3. The Series 5 Touch Ultrabook is a high performance PC sporting a touch-screen that allows it to really take advantage of the new Windows operating system. If you’d like the full specs you can view all of the nuggety details here on the Samsung site. To begin with I wasn’t sold on the idea of a touch screen laptop, but when I ran a photo slideshow for a work function I found the touch screen control added a new dimension to the “theatre” of a presentation. Battery life was excellent clocking in at a good 4-5 hours. That’s much better than my own work laptop (a 3yr old HP Elitebook 8530p which struggles to hit 90 mins on on one charge). I did find that the battery heated the bottom of the case quite quickly and establishing a WiFi connection was patchy at times (it felt like the digital equivalent of getting on a racehorse, a bit tricky to do but once in the saddle you began a fast and exhilarating ride). Reports from the States suggest the sales of hardware sporting Windows 8 are falling behind expectations. Personally I like the OS and expect more devices like the Series 5 to really showcase it’s attributes, especially to a business audience. I briefly tested the Note 2 Smartphone slash Tablet before taking it on TV in December. Spending a bit more time with it, I appreciated the software as much as I did the large screen. However when the Jelly Bean 4.1.1 update rolled out for the Galaxy S3, I put the Note 2 down and failed to return to it. It’s selling pretty well though if recent accounts are correct. The final product proved to be a revelation. 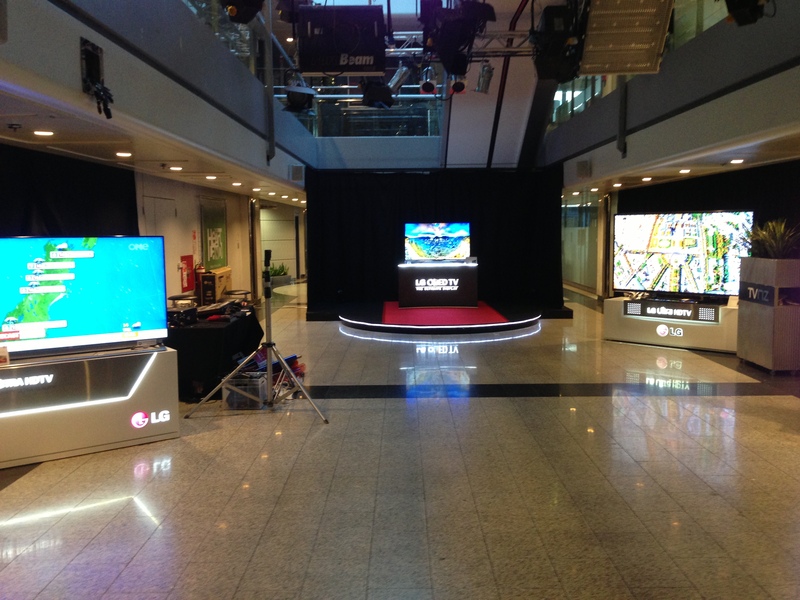 At the press launch in Sydney in December, journalists seemed to politely tolerate the announcement of the Galaxy Camera before settling in to hear the “real” news about the launch of the Galaxy Note 2 smartphone. In actual fact, the Galaxy Camera should be grabbing the headlines. It’s a strange looking beast. Several times I have been asked whether the camera is a case or some kind of attachment for my phone. That’s because that is what it looks like – a zoom lens camera clipped onto the front of a smartphone. It’s not ugly, but it is different. I took a lot of photos with it. I loved the 21x zoom (you can see its effects here or below) and enjoyed having the ability to post pics to my social network of choice immediately via WiFi or 3G (with additional SIM). Because it’s essentially an Android tablet, you can also download apps to your hearts content, including the most popular photo apps such as Instagram. I’ve read plenty of reviews since and the consensus seems to be ‘shop around before buying’. With an in-store price of between $720 and $860, there are a lot of good cameras to consider in or around this price range. Which camera you end up buying will depend on your own specific needs and circumstances. Having said that, the connectivity and innovation contained within the Galaxy Camera will almost certainly make it a popular choice amongst the social-sharing generation. If you’re a Doctor Who fan, you’ll know that the ultimate timelord gadget is a sonic screwdriver. Well, today’s manufacturers haven’t quite perfected that piece of technology, but there are a few helpful sonic accessories on the market. But today we looked at some super gadgets with sonic powers, from filling a room with sound to helping keep your teeth clean. The Ultimate Ears brand is well known amongst professional musicians. It began life in 1995 when one of Van Halen’s sound engineers invented a new in-ear monitor to help block stage noise for the band. Fast-forward 17 years and Logitech is bringing the Ultimate Ears brand to the masses. UE 9000 Wireless Noise Cancelling Headphones: Wireless listening no longer means sound-quality compromises. The UE9000 wireless headphones use the highest quality codecs and advanced digital signal processing to get the best out of a Bluetooth music connection. The custom drivers produce a great sound and a remarkable level of power, punch and clarity. An optional, detachable cable is included for when Bluetooth isn’t an option (i.e. on planes). 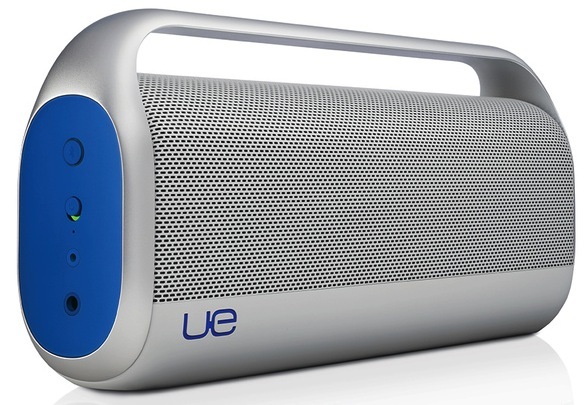 UE Boombox: A powerful portable music solution, the UE Boombox allows you to use your smartphone or tablet to stream clear sounding music from across the room or across the street. Bring it to a party and connect it with multiple phones so everyone can take turns playing music. Philips has introduced two new Sonicare products that push the boundaries of personal oral hygiene − the DiamondClean power toothbrush and a unique alternative to flossing, the AirFloss. Powered by patented sonic technology, the DiamondClean is the most advanced power toothbrush in the Sonicare range, with a dynamic cleaning action that drives fluid between the teeth and along the gum for healthier gums and whiter teeth. 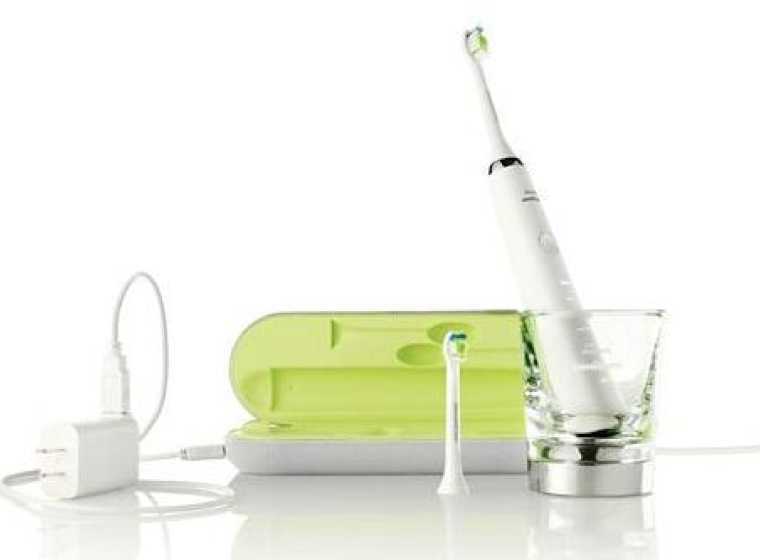 The toothbrush, which has won numerous design awards, features an advanced dual charging system. Users can either use a glass charging unit or a USB travel case that can plug into a laptop to charge on the go without the need for plugs and adaptors. The innovative AirFloss makes flossing easier and more effective than using traditional string dental floss. It uses microburst technology that delivers a quick burst of air and water through an innovative nozzle guidance tip to clean between teeth, dislodging hard to remove food and forcing plaque and bacteria out. The AirFloss is quick and efficient, taking only one minute and using only one teaspoon of water per session, and is proven to be easier to use than string floss. Availability: From leading electronic stores nationwide.